Sculpture garden ‘Achter de Westduinen’ (Behind the western dunes) is a private sculpture garden situated in Ouddorp on the western edge of the island of Goeree Overflakkee. The combination of the garden, the sculptures, the surrounding dune landscape and the nearby presence of the sea is making it a special and poetical place that changes with the current of the seasons. The sculpture garden is made up from a collection that is partly permanent and partly changing by the season and it displays the work of about twenty national and international artists. 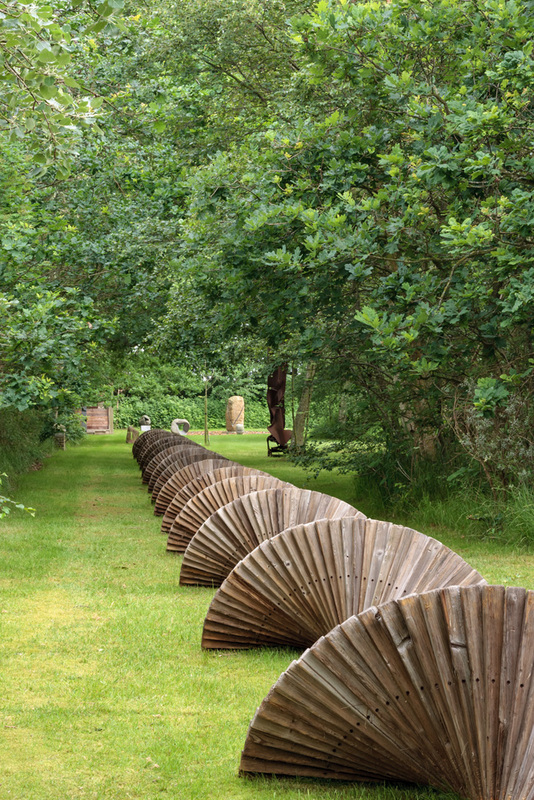 The sculptures have been selected together with the involved artists on the basis of their interaction with the garden. In this way, the dozens of sculptures become like beacons of human imagination expressed in the scenery, beacons that – through the help of nature’s flexibility – come to life. The spectator becomes part of the interplay that gives the garden a pace of its own; it slows down, it adds, it runs its course. 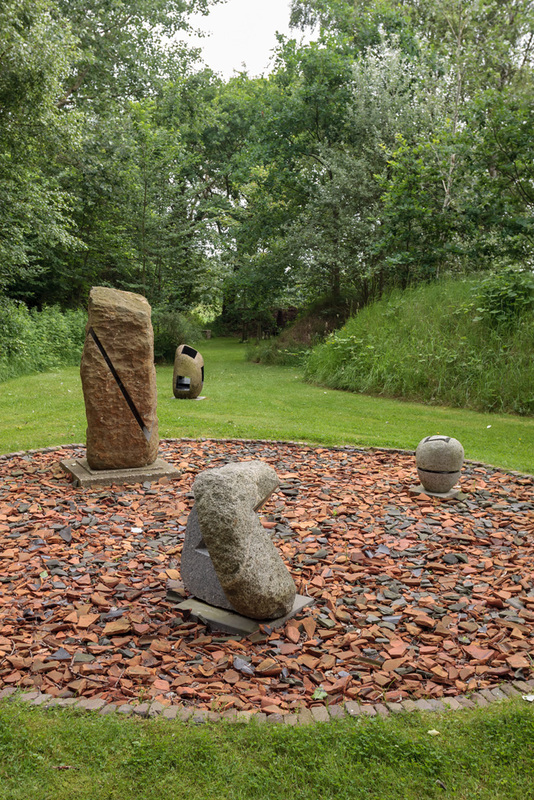 The Sculpture garden is intended as a pleasant sheltered place. A visit means a complete experience where the art offers scope for childlike curiosity, amazement and reflection and the garden provides peace and quiet through the rustling of the leaves, the singing of the birds and the blooms and blossom of summer. To complete the experience, the garden restaurant offers a choice of home-made lunch dishes, prepared with organic ingredients that are either home-grown or from suppliers on the island. Of course, you can also enjoy a nice glass of wine in the sun. For news follow us on Facebook. Entrance fee: The entrance fee is €5 per person. Of this, €1 will be donated to charity. Parking: Cars have to be parked (for free) along the Klarenbeekweg. Bicycles may be taken onto the premises. Please note that dogs are not allowed in the garden. The village and seaside resort Ouddorp is situated in the northwest of the island Goeree Overflakkee and, according to its inhabitants, it enjoys the most hours of sunshine in the Netherlands. The sculpture garden lies only 1 kilometre from the beach, the wide dunes and dunes forests. One of the characteristics unique to the landscape of the ‘Kop van Goeree’ are the so-called ‘schurvelingen’; walls of sand planted with grass and shrubs that divide the lands and mark land boundaries. 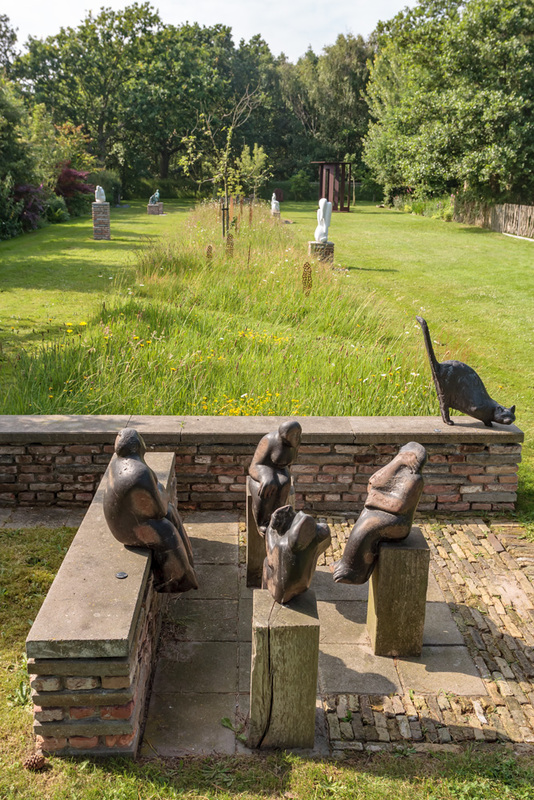 The sculpture garden is surrounded by such schurvelingen as well. They provide shelter and intimacy. The extensive surroundings of Ouddorp are perfect for walking, riding bicycles, swimming, lazing. For example, a visit to the sculpture garden could be combined with an afternoon by the sea and for the children, there is a large outdoor playground nearby (De Flipjes). Of course, children are most welcome in the sculpture garden as well. For the youngest among them, a small playing area has been made with a trampoline, a swingset, jungle gym and a sandbox. Sculpture garden Achter de Westduinen is not designed for commercial purposes and does not receive any subsidies. It is an initiative of Stasja Goedbloed and Arthur Broek, who moved from Dordrecht to Ouddorp in 2008. After a life as entrepreneur in the rehabilitation sector and architect respectively, they started to focus on what is dear to them: cooking and the garden. In the early spring of 2012, they met the German artist Dörte Berner in Namibia, where she has been living for fifty years. Her work made a profound impression and all of a sudden, a series of slumbering ideas and previous cultural and culinary initiatives melted into something so clearly obvious, leading to the Sculpture garden Achter De Westerduinen. Voor nieuws volg ons op Facebook.